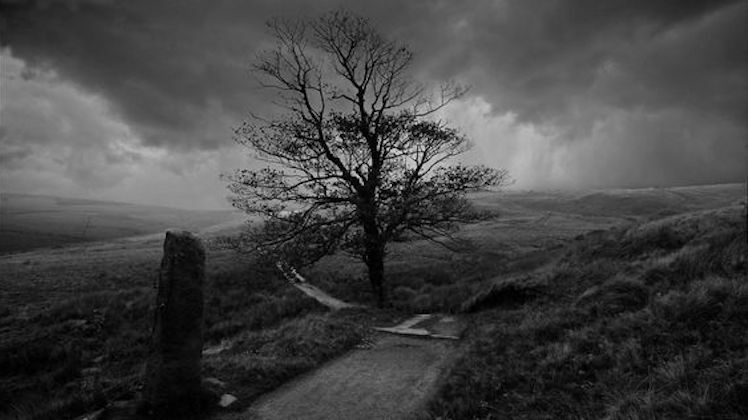 The Coffin Path is a seventeenth-century ghost story. 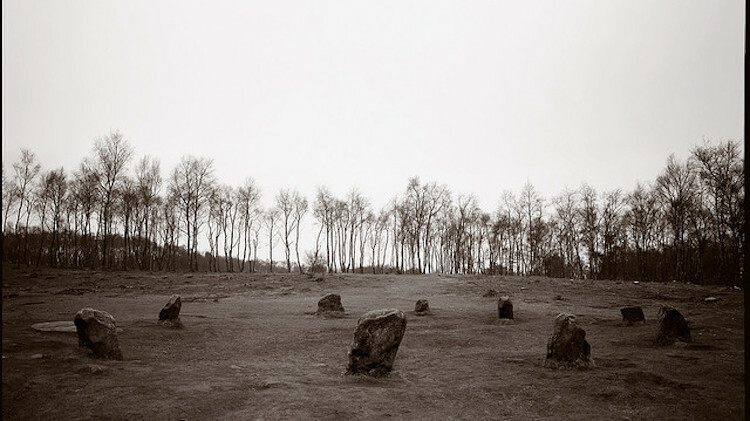 A story in which the oppression and wild beauty of the Yorkshire moors provides a compelling backdrop, where a sense of encroaching malevolence seeps like a ‘winding sheet of fog … silent, still, watching’ through the very stones of Scarcross Hall, and the fates of all who live there. ‘One coin marks the first to go. A second bodes the fall. The third will seal a sinner’s fate. The Coffin Path’s settings are beautifully drawn, with the book divided into parts that echo the seasons of the year, and in which Clements’ vivid and visceral landscape provides a reflection of Mercy’s soul. There is almost an animal element to the wildness of her existence – whether washing her own bloody rags in a stream, or delivering a lamb out on the moors; even in the moments when she finds a dead sheep blown with maggots and flies exuding the putrid stench of death. Added to this growing fear is the spiralling tension we witness resulting from Mercy’s sensuality. She is no longer the carefree girl who once ran wild across the moors. Neither is she the virgin with naive hopes to be wed one day, to produce a family of her own. Here is a real woman who experiences real sexual needs, even if she does not live in an era when such behaviour is admired. This is an age of political turmoil, with the aftermath of the Civil War causing enormous social distrust and economic turmoil. A time when many women are still accused of witchcraft, when people believe whole-heartedly in the existence of a Heaven and Hell … and perhaps even damnation for one whose independent life and power as a landholder is poisoned by evil suspicions and fears, by sexual tensions and jealousies. Mercy’s peace is then unsettled more by the unexpected arrival of a stranger known as Ellis, who Mercy employs as an extra hand when the farm is beset by troubles, and to whom she is strongly attracted despite an initial sense of distrust – though never for one moment can she begin to imagine the influence he will come to exert on her future life. The starkness, the gritty honesty, the often alluring brutality at the centre of this novel has many echoes of Wuthering Heights. Scarcross is also a house that’s cursed, set alone in a rural setting where Nature is raw in tooth and claw. From the moment we enter its doors we are immersed in a sense of impending doom where simmering tensions and darkness of shadows gradually reveal the truth in a violent and moving climax. Oozing with gothic symbolism, this brooding and beautiful ghost story is guaranteed to haunt your dreams long after the cover has been closed. 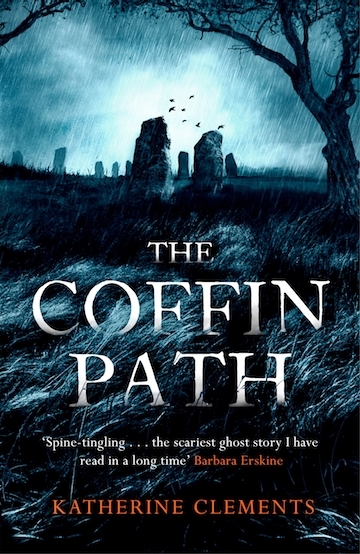 The Coffin Path is published on 8th February 2018. Find out more at katherineclements.co.uk. Essie Fox is the author of three Victorian novels, including The Somnambulist, which was shortlisted for the UK National Book Awards. Her latest novel, The Last Days of Leda Grey, tells the story of a young journalist who meets an ageing actress who once starred in eerie Edwardian films – the films which then obsess him, till he is no longer able to separate the realities of his present life from the ghosts still haunting Leda’s past.